This is the home page of the NIDHI Center of Excellence (of the Department of Science and Technology, Government of India) located at Venture Center, Pune, India. Venture Center is India’s largest inventive enterprises incubator. 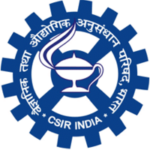 It is hosted by CSIR-National Chemical Laboratory, Pune, India. The Venture Center was founded in 2007 following an agreement between DST–NSTEDB and CSIR-NCL. On 11 May 2016 (Technology Day in India), the Venture Center was presented with the National Award for Technology Business Incubator 2015 by the President of India. 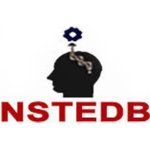 Following this, in September 2016, the National Science and Technology Entrepreneurship Development Board (NSTEDB), Department of Science and Technology, Government of India decided to award Venture Center with the status of a NIDHI Center of Excellence. (NIDHI is the acronym for National Initiative for Developing and Harnessing Innovations — an umbrella programme conceived by DST). This award is accompanied by a grant for a 5 year duration to help Venture Center scale-up its activities and demonstrate greater success. The NIDHI COE will help Venture Center build a high density cluster of inventive enterprises in Pune with significant global connectivity, reach and footprint. To scale-up incubation activity to accommodate more than 100 startups at any time. To upgrade and add new facilities for supporting science and technology based startups. To plan and execute many more events aimed at entrepreneurs/ startups and technology innovators both for awareness and learning. To offer services to startups to help them manage their technology and risks better. To develop a select group of new programs that can help startup companies scale-up more effectively as well as reach out internationally.